Yes ladies, we’re still embracing cropped top season and with so many unique designs of them we can’t help but have our favorite picks. No matter the occasion there is always a way to wear a cropped top. From a night out to a classic look for brunch you can style various looks that will go with your day. In this case we found a more office like cropped top. If there was ever a formal styled cropped top, this would be it. 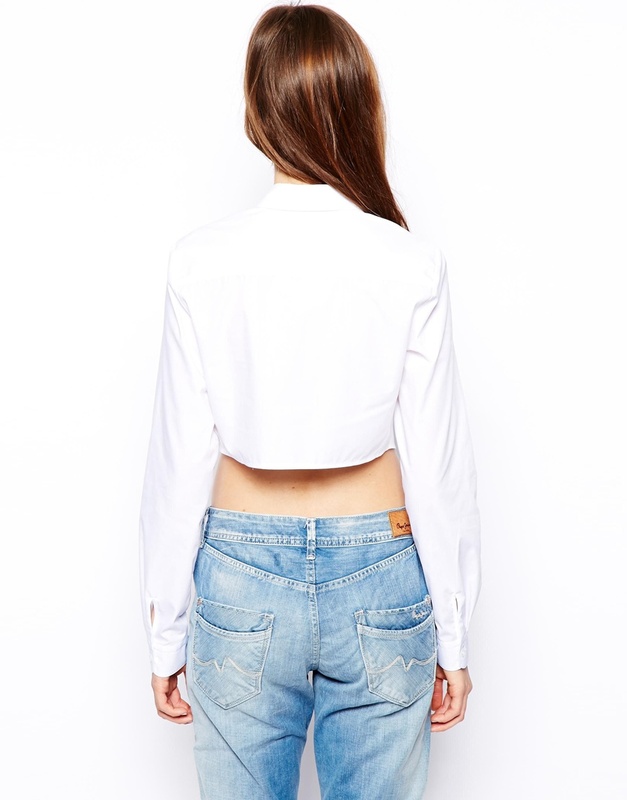 Imagine a button up blouse mixed with a cut off but with a great silhouette, that is indeed the ASOS Crop Shirt. It’s cotton and available in baby blue and white, making it perfect for any season. We’re matching it up with our favorite pair of boyfriend jeans and to dress it up a high waist skirt for the evening. It retails for $42 USD and you can cop it here. Tatiana’s on Twitter (@TatianaTot) and she’s praying to finally see The Game in concert Friday in Phoenix. May the force be with her.